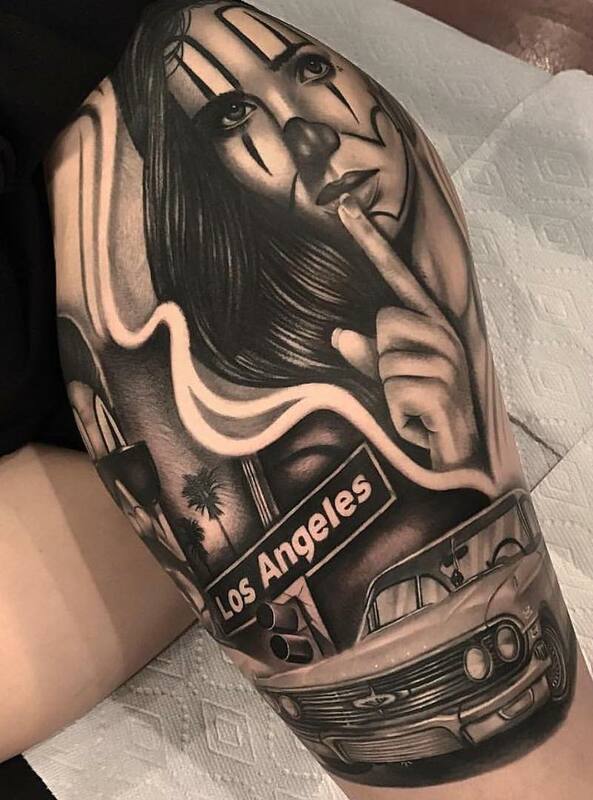 Chicano tattoos with their iconic fine line black and grey, realistic look and rich history in the imagery are among the best tattoos out there. 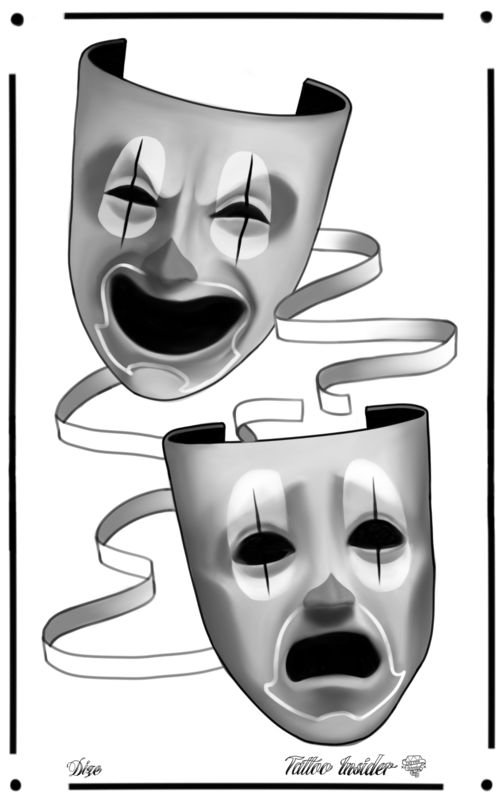 They can represent many different elements from family, neighborhood, culture, emotions and memories. 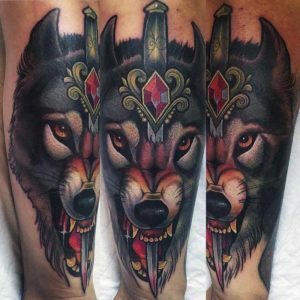 Characteristics of the chicano tattoos are black and grey color, fine lines, detailed and soft shading. 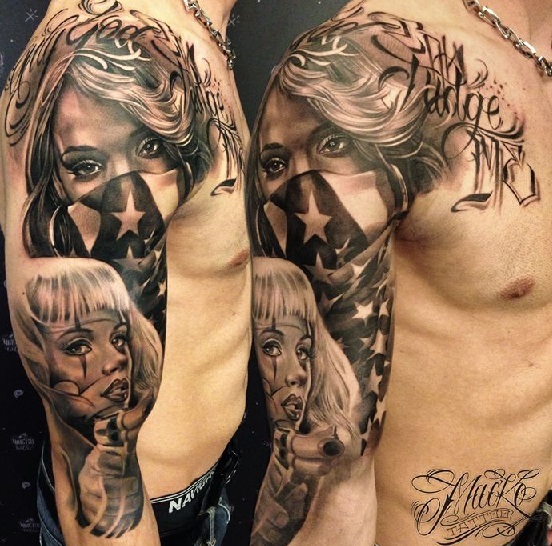 Chicano tattoos regularly incorporate realistic portraits, religious, cultural, gang symbols and lettering. 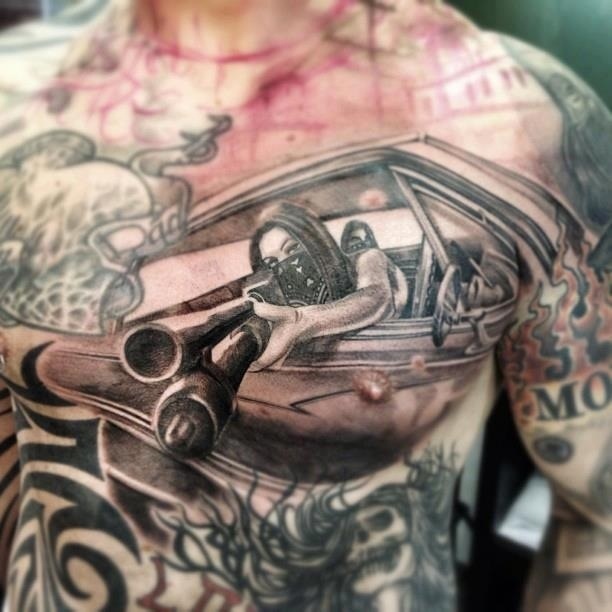 Chicano tattoos were made famous in LA by Chicano street culture but most Chicano designs were created in prison. 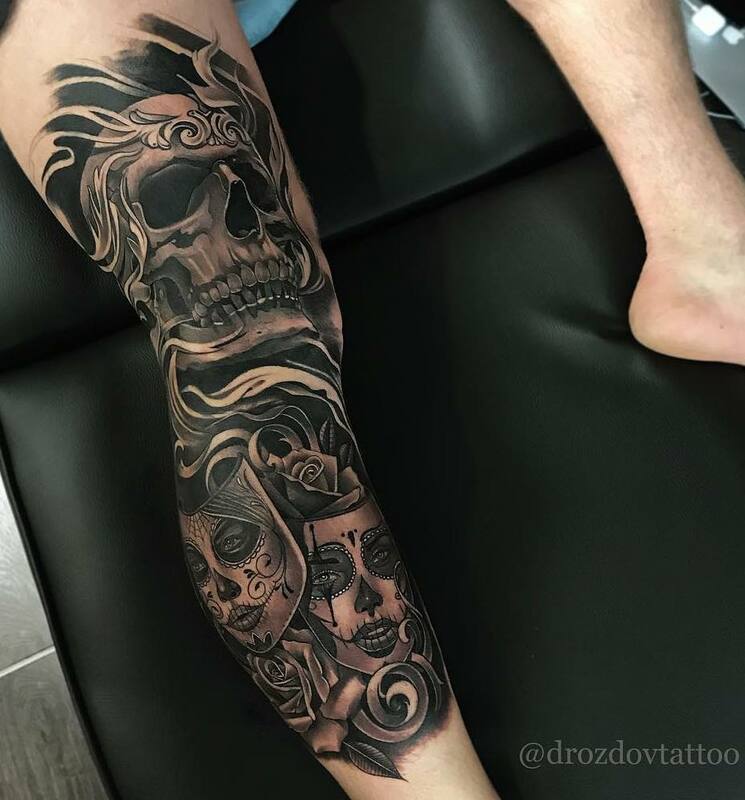 As a very influential tattoo style, chicano tattoos have helped develop and inspire many different tattooing styles from portraits and realism to black and grey tattoos. 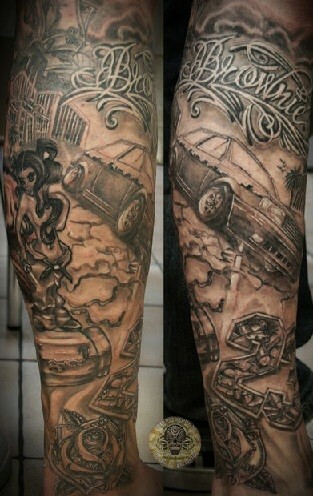 When done right, nothing blows more people away like the Chicano black and grey styled tattoo sleeves. 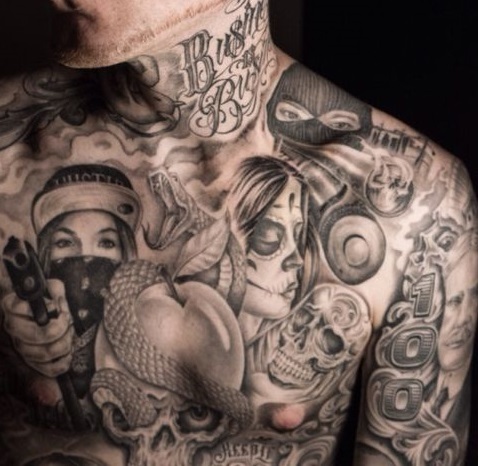 Sub cultures use symbols and tattoos to organize themselves into groups. 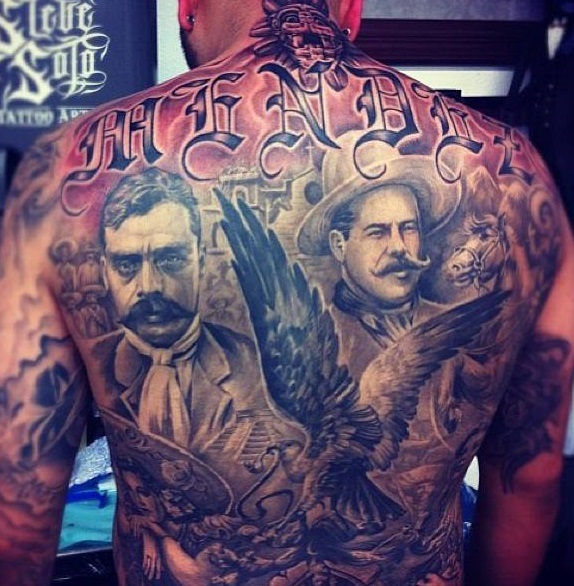 Chicano tattoos are no different and the first chicano tattoos first showed up in the Pachuco gang in the 40’s. 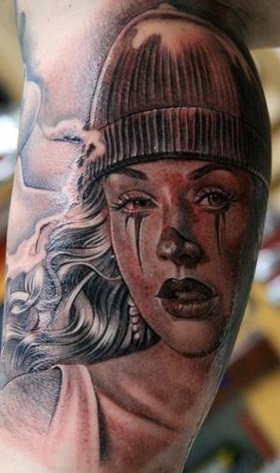 Mostly consisting of the Pachuco cross tattoo between the thumb and index finger. 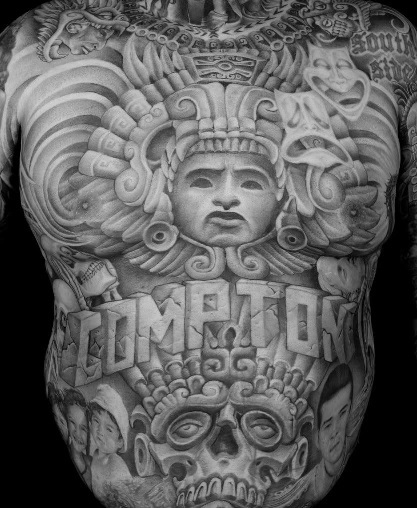 Script and portraits were also a predominate tattoo for chicanos. 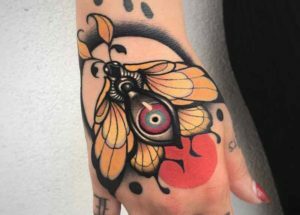 But it was not until the 60’s until the chicano style first established itself as a definitive tattoo style with the cholos. 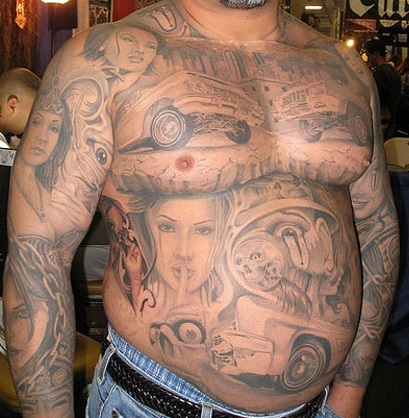 The black and gray ink color was heavily used in chicano tattoos as this was the most accessible ink color in prison. 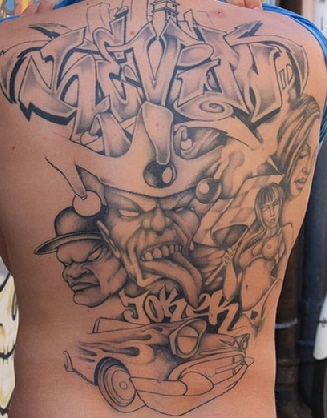 The art of chicano tattoos was refined and developed further on the streets of LA during the 70’s and 80’s. 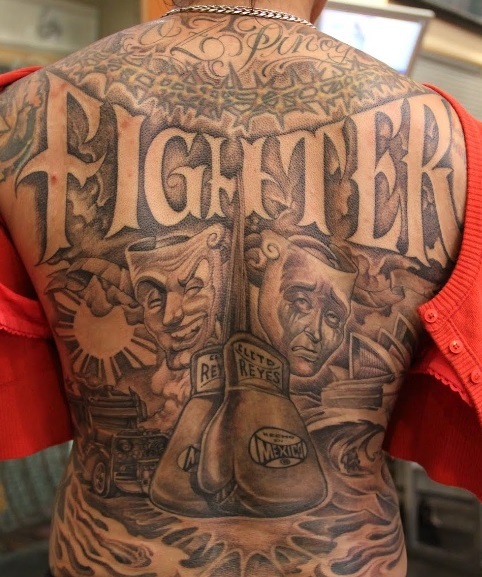 The first chicano prison tattoos were made used using make shift tattoo machines and ink as tattooing was forbidden in prison. 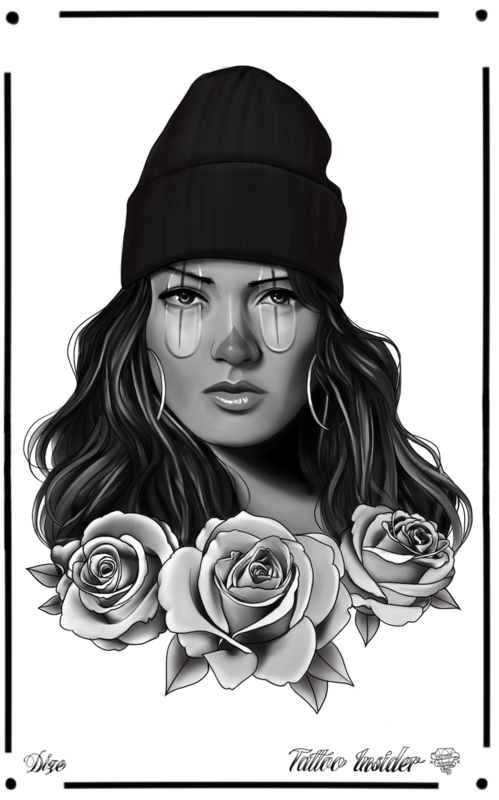 The streets of LA further developed chicano designs from the many different chicano mantras such as “Smile now, cry later”. 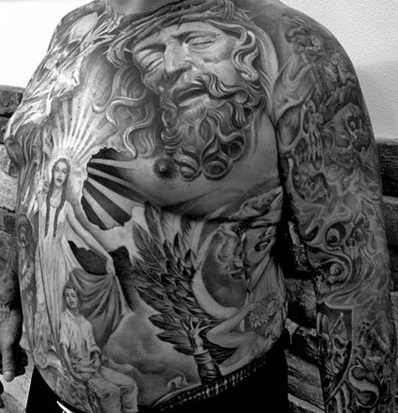 Religious chicano tattoos feature Jesus, virgin Mary, crosses, praying hands and the Pachuco cross. 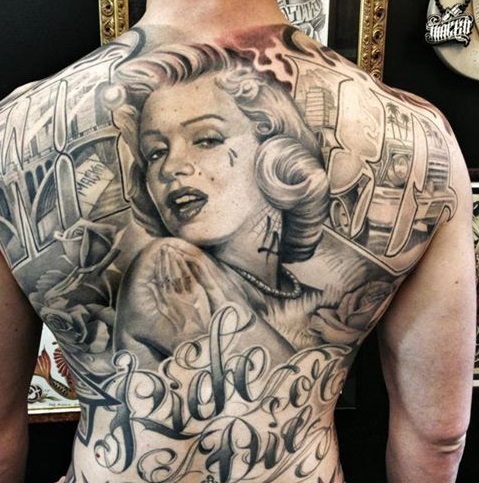 The Pachuco cross is a tattoo with three dots above a cross. 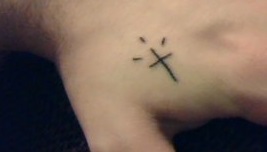 The three dots mean mi vida loca (my crazy life) and the cross is a symbol of god. 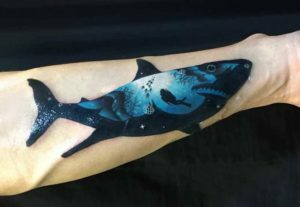 This tattoo is both religious and represents gang affiliation, often done by the stick and poke technique. 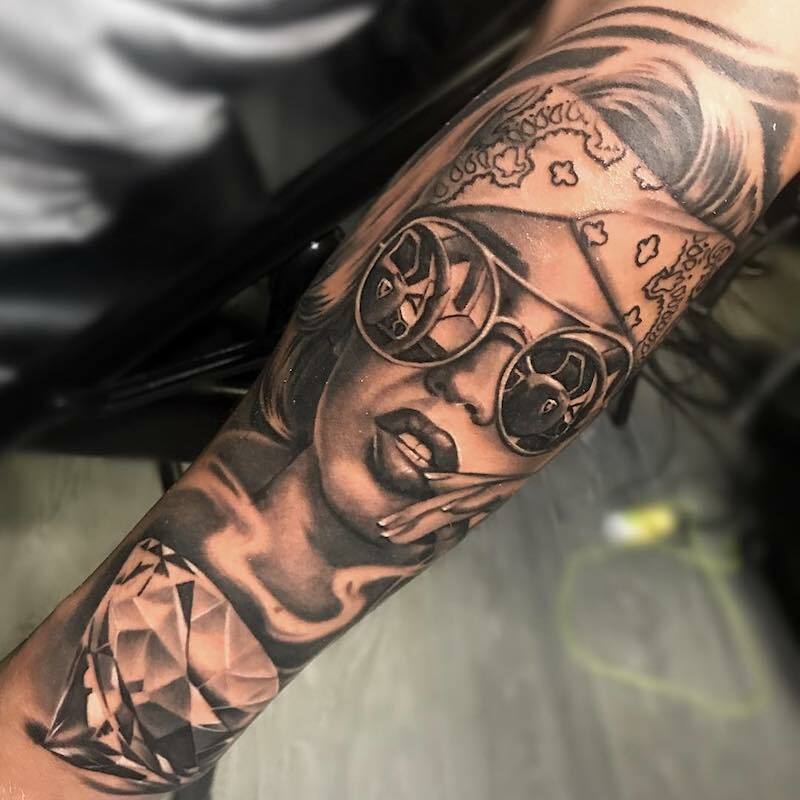 Portraits and realism chicano tattoos include family, lost loved ones, girls, cars, low riders, clowns, guns, masks, celebrities and iconic figures from the Mexican revolution. 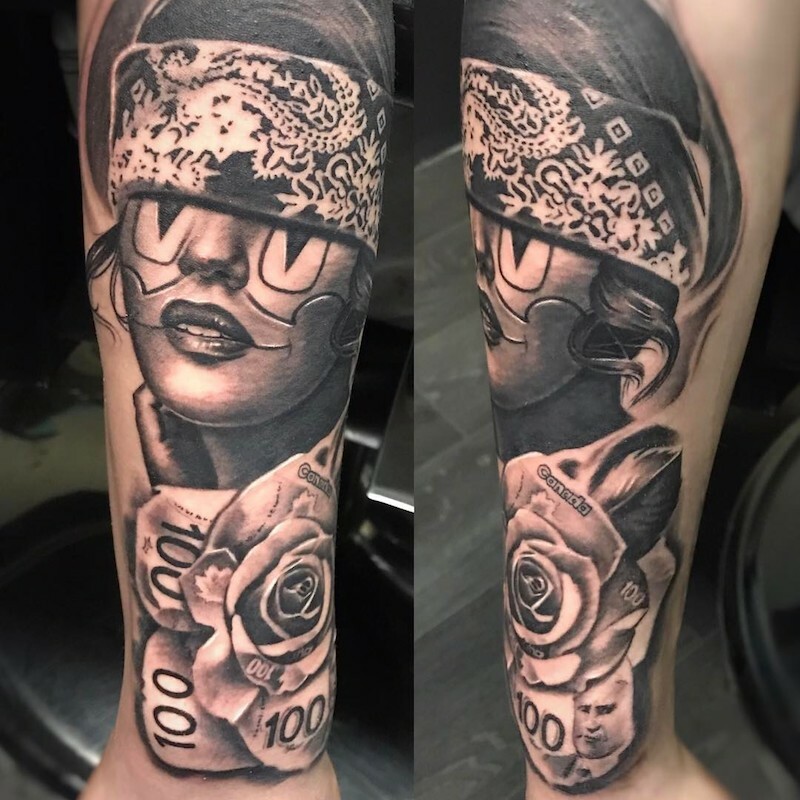 Smile now, cry later tattoos. 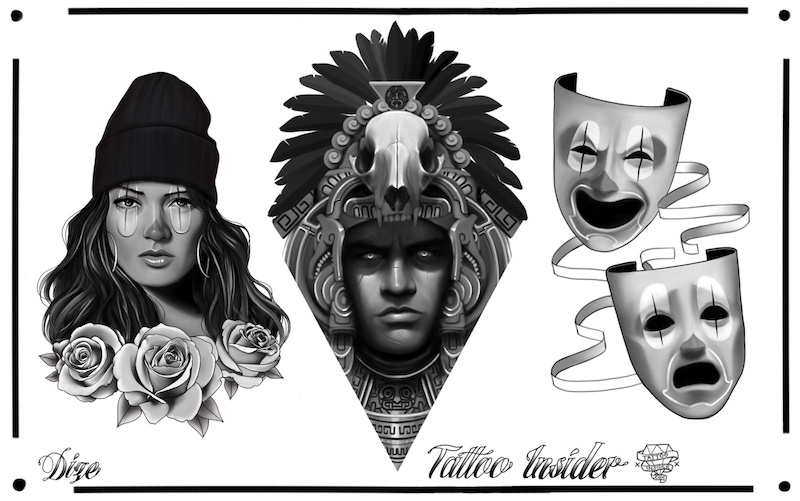 Chicano tattoo legend Freddy Negrete designed the now famous Chicano tattoo design smile now cry later tattoo when he saw an ad for a acting class with the comedy and tragedy masks, he added his own touch to the design with the words smile now, cry later, the phrase comes from the song titled “smile now cry later” by the classic Chicano band “Sunny & the Sunglows”. Often adopted for the meaning of hiding your weakness or tears in prison until you’re out. 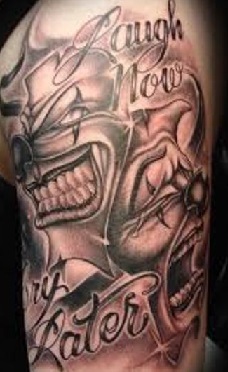 This tattoo which consists of two faces, one laughing and one crying are popular among gang affiliated chicanos, which represent strength and toughness. 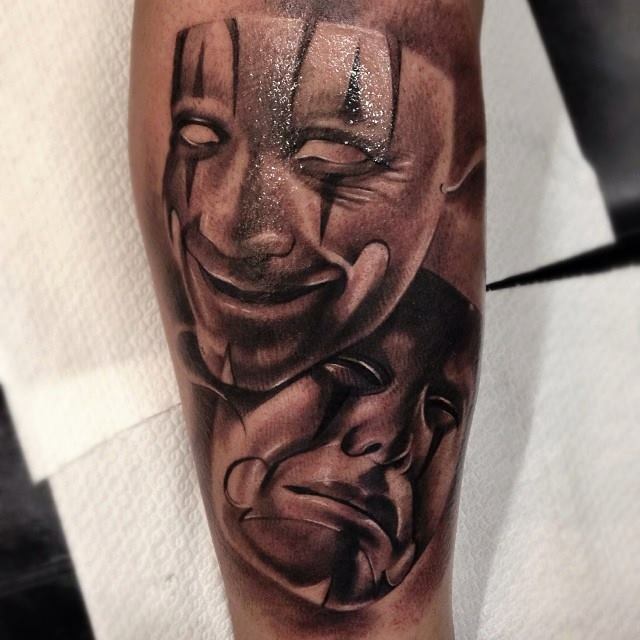 Clowns, masks or comedy masks can be used with or without the lettering “Smile now, cry later” incorporated into the design. 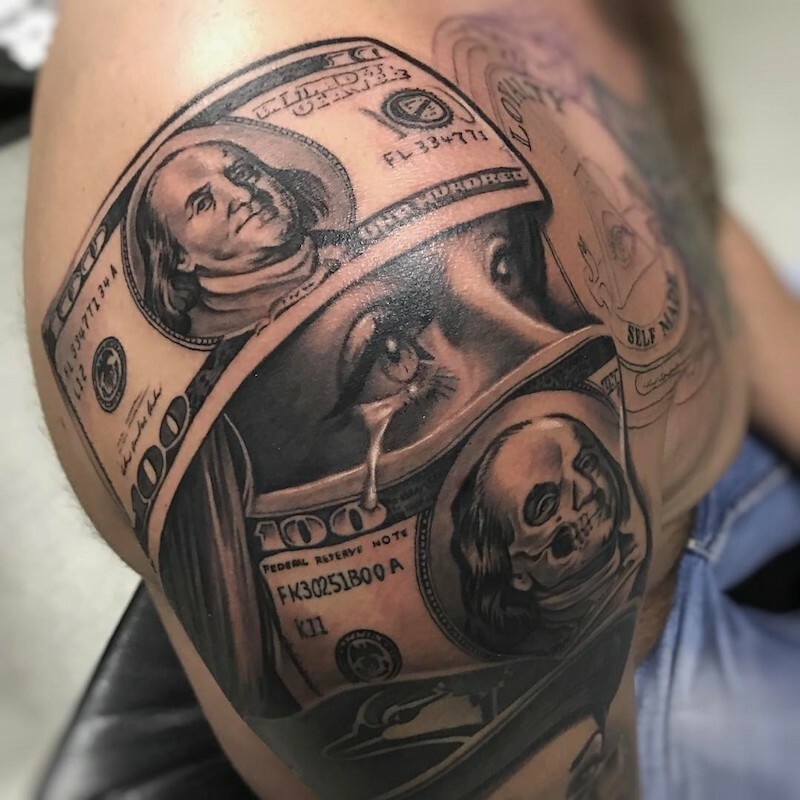 “Laugh now, cry later”, “Play now, pay later”, “Smile now, cry later” and “My happy life, my sad life” are all variations of the same concept. Lettering is often bold to create impact or a fine elegant script to add softness. 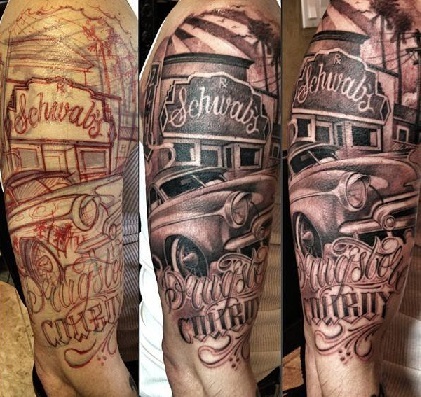 Lettering Chicano tattoos represent neighborhoods, areas, family names and quotes. 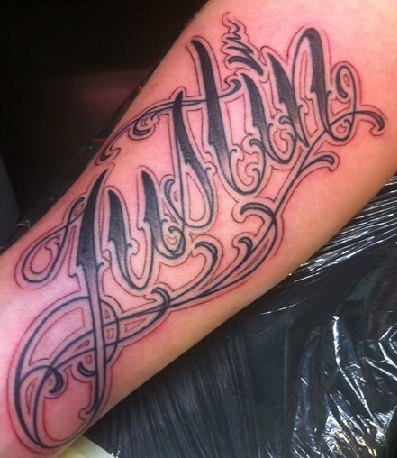 These lettering or words are used stand alone, behind portraits or incorporated into a grand design. 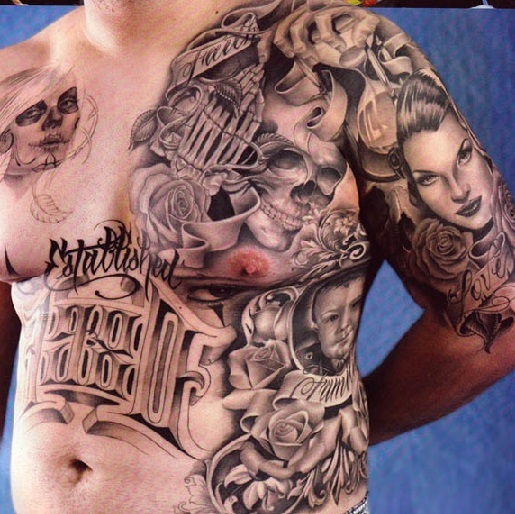 The eagle is another commonly used symbol in chicano tattoos. 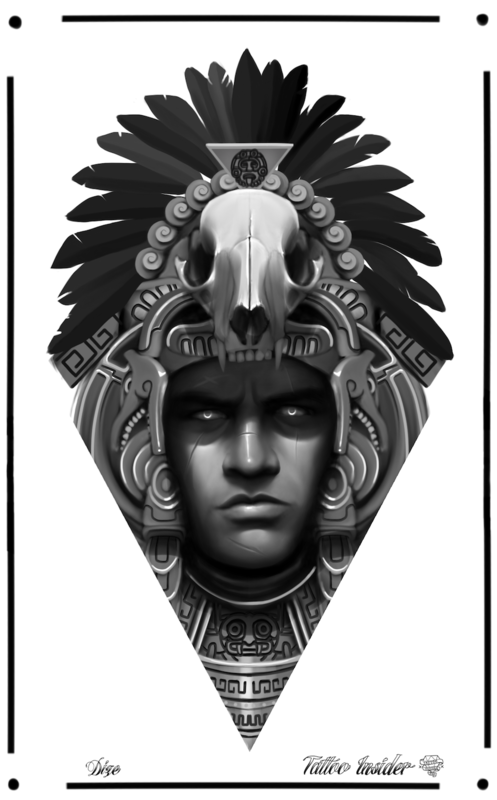 The eagle is an Aztec symbol for warrior and also features on the Mexican flag. 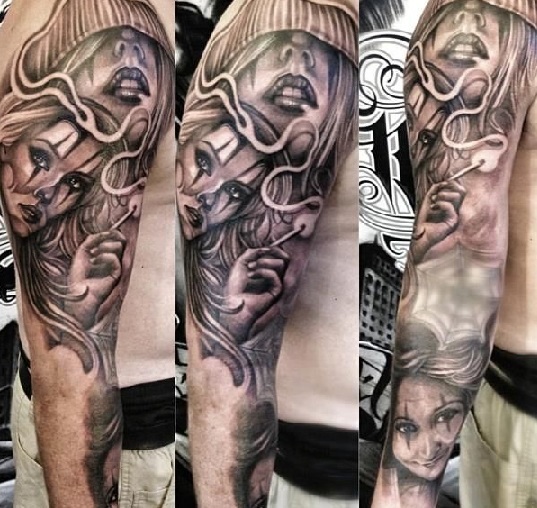 But can also represent freedom and other personal meanings.